There was coffee cupping in Bear Brothers and Cow last night, it’s the second time we went to cup some coffee there (ahh, I want so badly to be “we” again…Karla, Snehaa, I know you’re reading this, I miss you and can’t wait for you to be back! 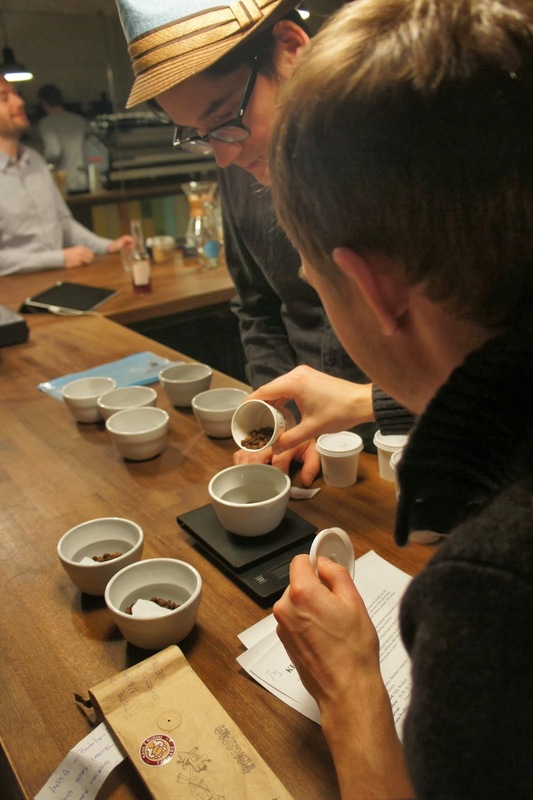 ), you can read about it here.It was the second time I went for cupping there, even though the guys, Kai Keong and Benny, organize cupping sessions quite often. This time though the reason was the coffee lover and friend Ales, who came on a visit to Zurich and brought some coffee samples from Czech roasteries. 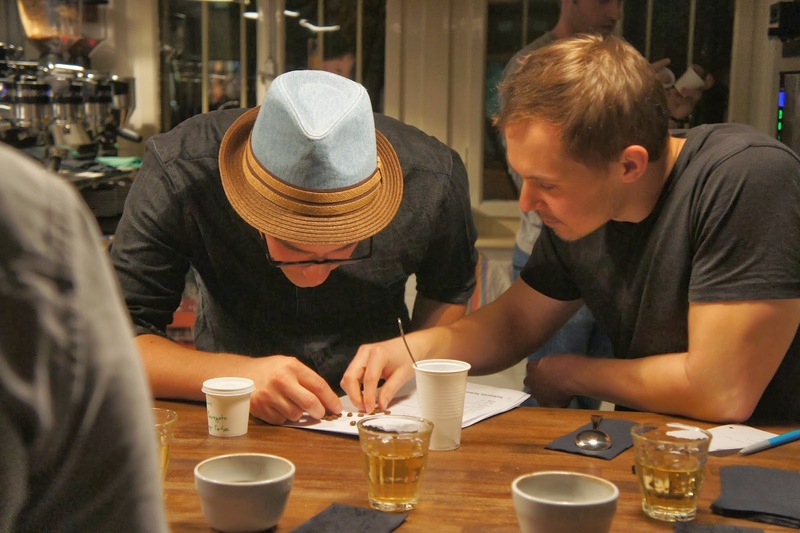 These samples are from the best what these roasteries had to offer at that time, so there’s no special selection for or purpose of the cupping, but it was interesting, fun and besides it’s always good to meet fellow coffee enthusiasts. On the photos you can see Ales measuring the beans before the grinding. 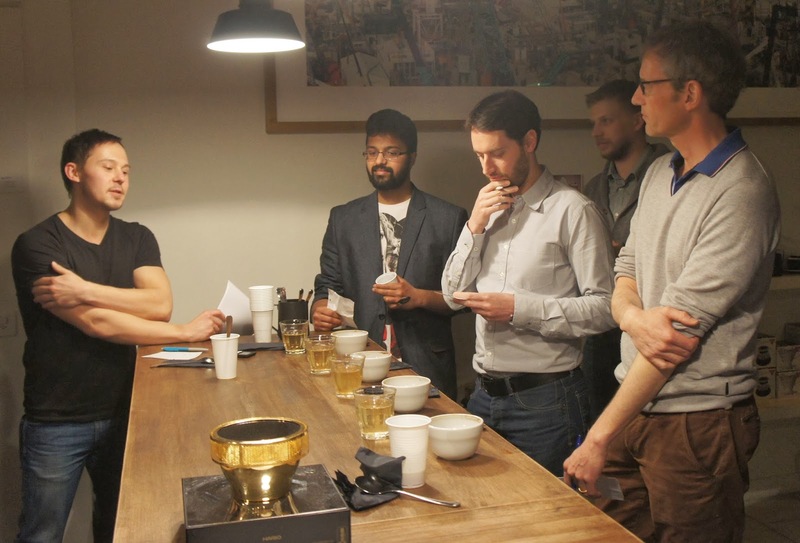 We started with a blind tasting, I think everybody could pick out the Sumatra – very earthy and chocolaty – compared to the others it really stood out. Sumatras usually make better espresso, than filter coffee. The American coffees were fruity, a bit like compote with the aftertaste of honey. 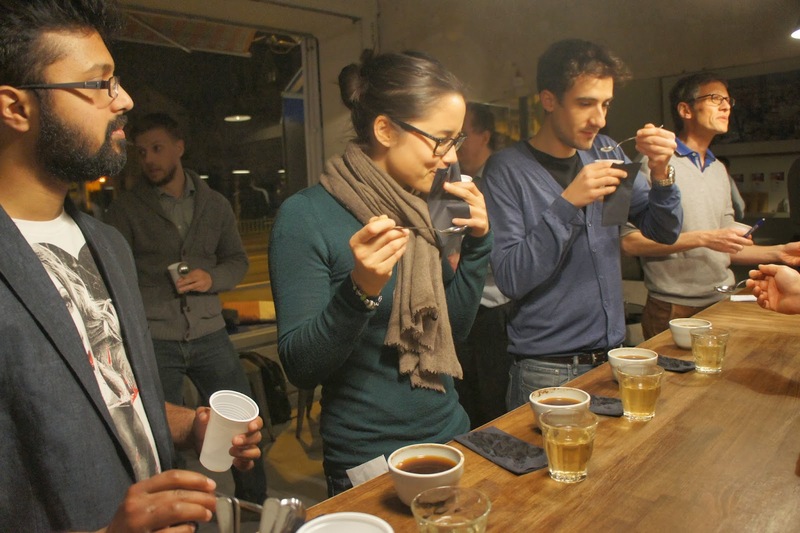 The ones from Kenya and Ethiopia were very fragrant and intense and you could easily taste the difference. The session was a good exercise, trying to taste the difference between the beans grown on different continents and trying to store them in your memory. Also there were one or two coffees that were natural, but still for me is a bit tricky to identify even that. coming soon, so we’ll see. 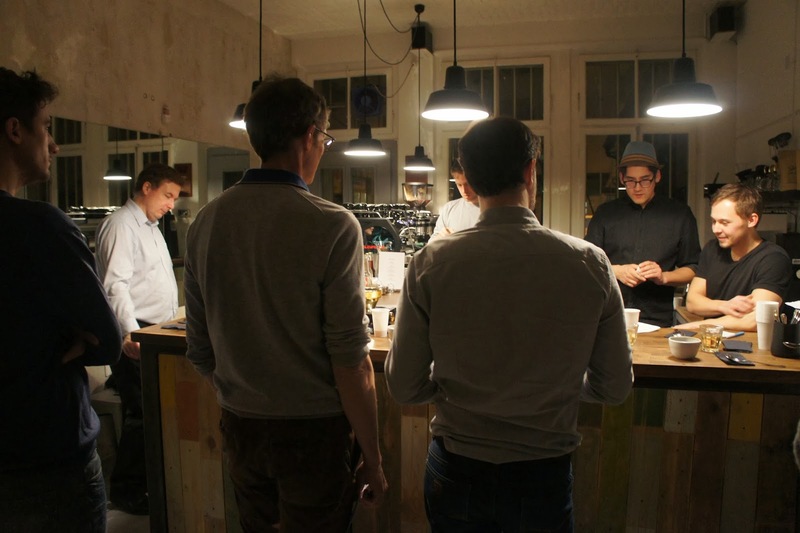 Anyway, thank you Kai Keong and Benny for organizing this, and Ales, thank you for bringing the coffee from Czech Republic, it was very nice of you to give us a sneak peak of the Czech coffee culture. 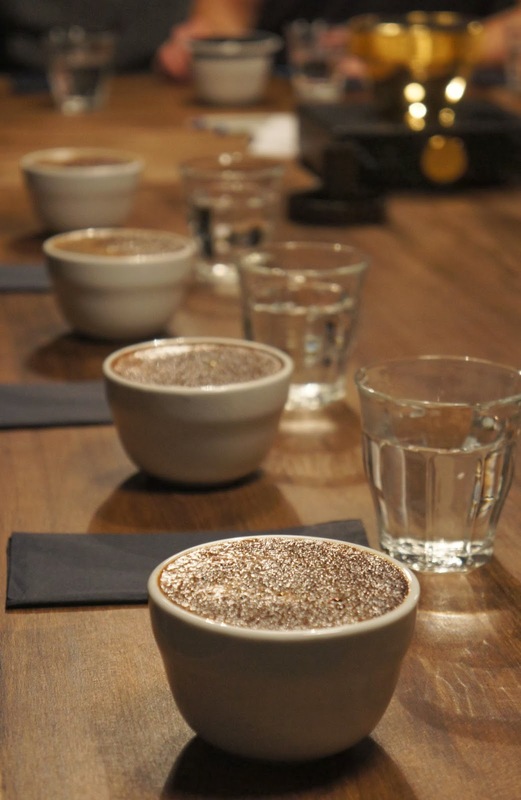 I hope we end up cupping coffee together again somewhere. It will be the third time, right?